It is designed to cover greater distances and reach higher speed and blessed with perfect geometry that minimises air resistance. The models belonging to this category represent the level of adequate quality in bike business with reliable Shimano gearshift and all that is inevitable for a tough ride. It is specifically meant for sports and free time activities.  Put simply an Ebike is a bicycle that is electrically assisted via a motor that provides power to help push the bike along. You still have to pedal, however when the bicycle senses you are pedaling the motor provides you with plenty of additional assistance. Who Should Buy an Ebike? Ebikes can be ridden and enjoyed by any-one aged fourteen and over! Customers come from all walks of life and wildly differing motivations for purchasing an ebike. Whether you want to ditch the car because you are fed up with being stuck in traffic, want a greener form of transport, or to be able to cycles longer distances and enjoy your surroundings then a GEPIDA bike can definitely meet your needs and many more.